Prince George has been labelled a 'monarchist monster' and accused of animal cruelty. 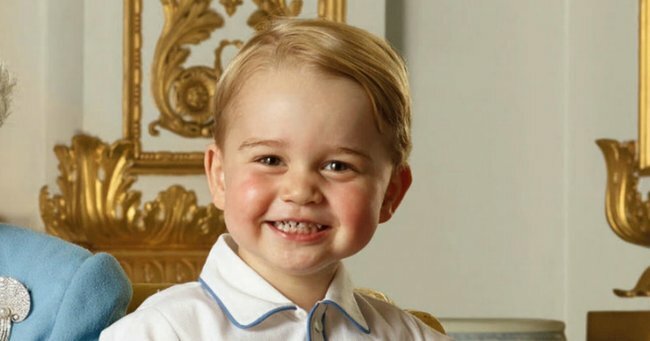 The Duke and Duchess of Cambridge released some beautiful images of our beloved Prince George the other day in celebration of his third birthday. We all cooed over his striped top and likeness to his father. But the royal family have since come under fire for one particular picture that shows Prince George feeding his dog Lupo a Magnum ice cream. I mean the ice cream isn’t in the dogs mouth but it’s pretty darn close. Can’t believe it’s been three years already! The Duke and Duchess would like to thank everyone for all the lovely messages they have received for Prince George’s 3rd birthday, and are delighted to share four new photographs of Prince George to mark his third birthday, taken by photographer Matt Porteous at their home in Norfolk in mid-July. And as some studies suggest, dogs are actually allergic to sweets like ice cream, and its well known that chocolate is a no-no as a snack. So naturally, all hell broke loose in the comments section of the photo. Some were boldly calling the move “irresponsible” while others were saying he should be “thrown in jail”. The RSPCA even issued a warning when they noticed the photo, asking dog owners not to feed their pets human treats. But can we all look at the picture for a second? Firstly, the chocolate coating has been taken off so it’s only vanilla ice cream, and secondly the dog isn’t even LICKING IT. So I think gaol is a little bit extreme. In case you missed it, Prince George tends to steal the show in every public outing.